Blowing Rock is held in the hearts of many, as those who have had the pleasure of experiencing it at least once tend to quickly become enraptured by it. Visitors and residents alike enjoy its variety of attractions, restaurants, scenery, shops, and events, not to mention, its authentic mountain charm. No matter the inspiration of your interest, The Mountain Group at Premier Sotheby’s International Realty invites your attention to the local real estate market. 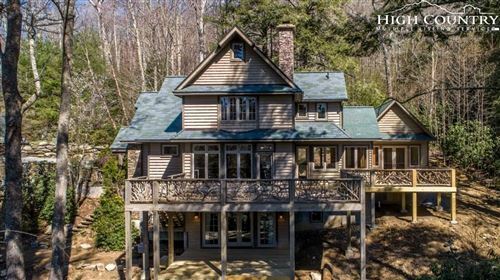 Many buyers who browse the available listings are people who vacationed in Blowing Rock either as a child or up until their relocation. 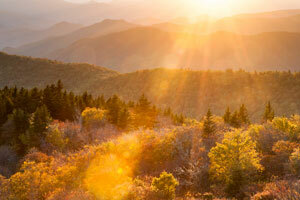 In fact, Blowing Rock is a distinguished resort town that attracts travelers year-round. If you spent a number of cherished getaways in our mountains but ran out of time to do all that you wanted, maybe it’s time you invested in more opportunities. In other words, make Blowing Rock your home where you can immerse yourself in the lifestyle. Blowing Rock is an ideal destination for family fun, honeymoons, adventure retreats, you name it. Outdoor recreation abounds, unique restaurants line the mountainsides, festivals and events fill the valleys season after season, and unparalleled natural beauty make this mountain town and its neighboring communities a desirable area to be any day of the year. The country is full of renowned mountain towns that afford an array of delight, but none compare to our very own Blowing Rock. With its calmness and splendor, on top of its city-like conveniences, you’ll be hard-pressed to find another place as appealing. We will gladly take you on a personal tour of this alluring region, along with all that it has to offer. The real estate alone is enough to win you over. Take a look at our site to learn more about Blowing Rock, North Carolina as a notable spot on the map and more importantly, as a potential place to call home.